May 2015 - Lochearn Summer Camp for Girls - Our Girls Sleepaway Camp Blog! It has been amazing to see the support and enthusiasm our families have for Lochearn. We appreciate that you have kept Lochearn in the forefront of your mind throughout the year. Thank you for recommending us to your friends and family and spreading the word that Lochearn is a place where girls can be themselves while growing and learning in a positive and encouraging environment. This entry was posted in Camp News and tagged camp for girls, girls camp, girls summer camp, thank you, vermont camp on May 26, 2015 by Lochearn Admin. Welcome to Scout’s Club! I hope you got my postcard in the mail. If not, click here to see it. Scout’s Club is a special club for Junior Campers at Lochearn. As a member of my club, you will get to spend time with me! Woof! We will go paddleboarding, take walks, play fetch and do other fun activities together. I need help with my baths and keeping my golden hair brushed. Any volunteers? Thanks! I love playing with Lochearn Lassies! Can’t wait to see you on Opening Day after dinner! This entry was posted in Camp News and tagged Camp Lochearn, dog walks, girls summer camp, paddleboarding, scout's club, Vermont Summer Camp on May 20, 2015 by Lochearn Admin. We hope all of you are enjoying the start of Spring. Camp is right around the corner. 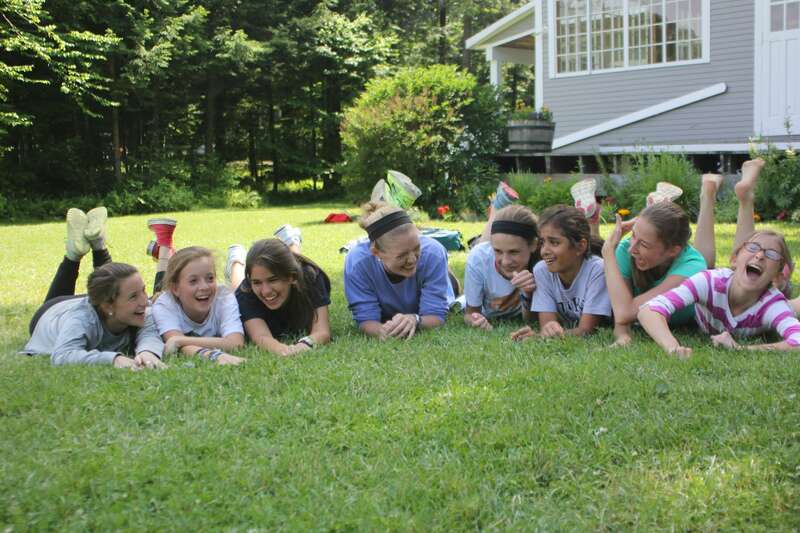 Are you counting down the days to summer camp just like we are? Tony met many new campers this winter who are looking forward to becoming Lochearn Lassies. They can’t wait to meet on Opening Day, to walk to Baker’s, and to gather at Campfire Hill in the evenings. The girls hail from New Orleans, Los Angeles, New Canaan, Westport, Rye, and New York City. Two reunions in New Canaan and New York City capped off a bustling winter. Life has been busy in Post Mills. The year-round team at Camp has done an incredible job of updating the sewing studio. New worktables, lights, and storage bins will give the popular sewing studio a fresh new feel. The tables and chairs have been moved back into Highland Hall, and you can almost hear the singing from happy staff and campers echoing off of Lake Fairlee. The Lochearn leadership team enjoyed a productive weekend at the winter office in Florida. The annual summit was filled with reflections from 2014 and enthusiastic goal setting for an exciting summer. A dedicated and child-centered staff has been hired and is excited about cabin life and offering great instruction in the program areas. Good luck with wrapping up the school year and get ready for an amazing summer in the beautiful state of Vermont. We can’t wait to see you at Camp! 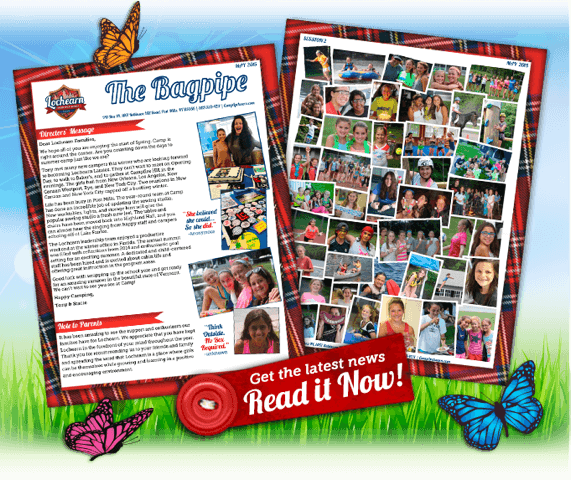 This entry was posted in Camp News and tagged camp for girls, Camp Lochearn, girls summer camp, Lake Fairlee, Vermont Summer Camp on May 18, 2015 by Lochearn Admin. Forms can be uploaded to your MyLochearn account, or returned via mail or email. Any questions, please call our office. Complete Forms by May 15. Register Luggage with Camp Trucking. Register prescription medications with CampMeds. Check out your Parent Handbook for the Opening and Closing Day Itinerary. This entry was posted in Camp News and tagged camp for girls, Camp Lochearn, final checklist, important dates, preparing for camp, summer camp vermont on May 11, 2015 by Lochearn Admin. This entry was posted in Newsletter and tagged camp for girls, Camp Lochearn, girls camp, girls summer camp, vermont camp on May 6, 2015 by Lochearn Admin.